The first iteration of this blog was called; Ugunduzi. A Swahili word that means discovery. Discovery, interesting choice and possibly a little foreshadowing as this blog was created while standing under the hot Las Vegas sun at Life is Beautiful Festival, while listening to Alabama Shakes & having a conversation about LIFE. This was almost a year before I actually went to Africa, or had the opportunity to go to Tanzania and actually SEE that word used at Oldduvai Gorge. Talk about historical discovery site. Also foreshadowing as I am currently in 2017/18 developing a National Historic Site. Steve Jobs once said, “It’s so easy to connect the dots going back.. never going forward but looking back there it is all laid out.” It’s the same for me with this. The site may have been started at a festival in Vegas conceptually, but the realization of it came to life though the next year while hiking, paddling in the vast ocean, traveling through unimaginable lands. There was and still is a common core to this idea. #lovebeinghere break it down; literally LOVE. BEING. HERE – Wherever here is for you right now. This blog is about connection. Connecting people. + It’s about living intentionally, wholly and with passion. This blog is written by me, Miss D.
Mostly it’s written by ME a regular girl, single parent, formerly a teen Mom, girlboss, wild woman tribe gatherer, youth pastor, photographer, business developer, yoga teacher, planet loving, decision making, festival loving, passionate adventurous soul. The guests that post here – all real people with struggles and passion of their own. We ALL agree, life is short and every day decisions really do matter. Discovery, REALLY is a state of mind more valuable than gold. 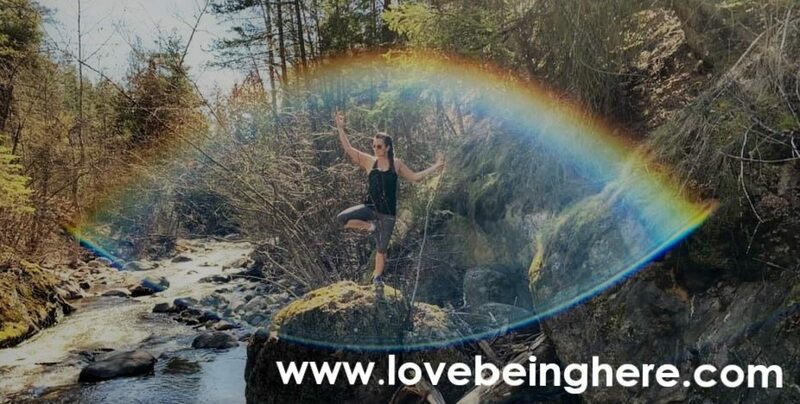 #LovebBeingHere, is an adjustment to psyche – in that we accept that NOW is all there is. The LBH Tenants are simple: Love boldly, be humble, work hard, dream big – consciously make attuned efforts to be global citizens recognizing that LOVE is what humanity looks like, it’s what we strive for in accentuating the human condition.. We will live in Joy. My Research: Why Ugunduzi? Why Discovery as a State of Mind? We humans NEED one another to thrive. I know, not such an original theory BUT one that get’s easily swept under the rug in this technology driven society we all live in! WE HUMANS NEED ONE ANTHER TO THRIVE. Let that sit on your heart for a moment and imagine us (humans) as little microcosms, little lights burning just so.. Now imagine, us, little bulbs burning infinitesimally brighter as we move closer to one another – what would happen if many bulbs started coming nearer to one another? Happy Humans, coming together, connecting sharing our light? This transference of positive energy helps us ALL burn more brightly! At first glance this blog seems to be primarily about music – it is and it isn’t. Festival, live music venues, musicians – I can’t tell you how many people I have met that are living the LBH tenants in this environment. The industry on it’s most basic level imbues connection. It’s more though, after a little hiatus taken to develop m!Media, we are back and hoping to bring you relevant content revolving around the day to day world we live in. If 2017 was a year of personal work and learning, 2018 is going to be the applications of those lessons. Discovery as a state of being keeps us moving forward, uncovering new truths. Being discoverers eloquently lends us to the profound experience of rejoicing in our personal evolution, sharing in this with one another is empowering! I hope to create a space here that highlights JOY, that reminds us how important taking time to LIVE, LOVE, TASTE, GIVE, REJUVENATE, FOCUS, PERSEVERE, To AIM HIGH, and ultimately to #LOVEBEINGHERE.